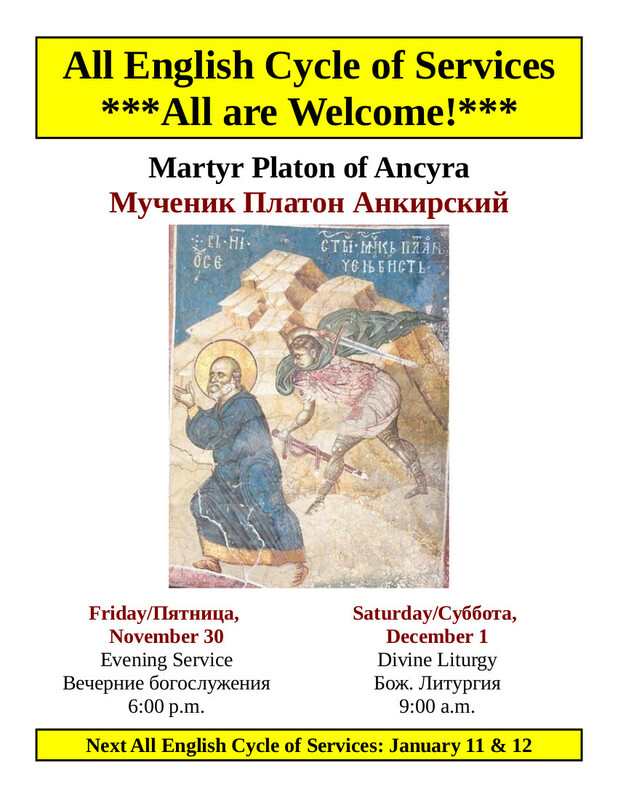 All English Cycle of Services this Friday/Saturday – Spread the Word! Our monthly cycle of all-English services is set for this Friday at 6:00 p.m. and this Saturday at 9:00 a.m. 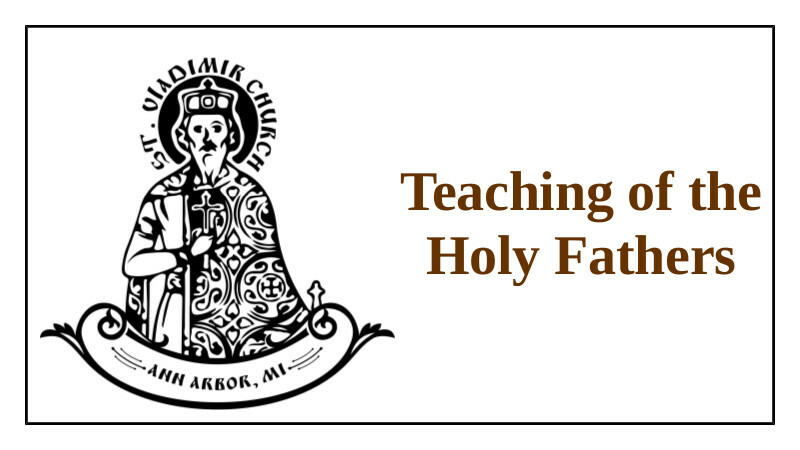 Please invite friends, loved ones, neighbors, co-workers, and anyone else you know or suspect might like to learn more about the Orthodox Faith. The Lord has put us in this time and place to sanctify this time and place – to spread the Gospel here and now. This is why we hold these services – to provide an opportunity for all to be exposed to the theology in action that is the Divine Services. Please join us as your personal schedule allows! 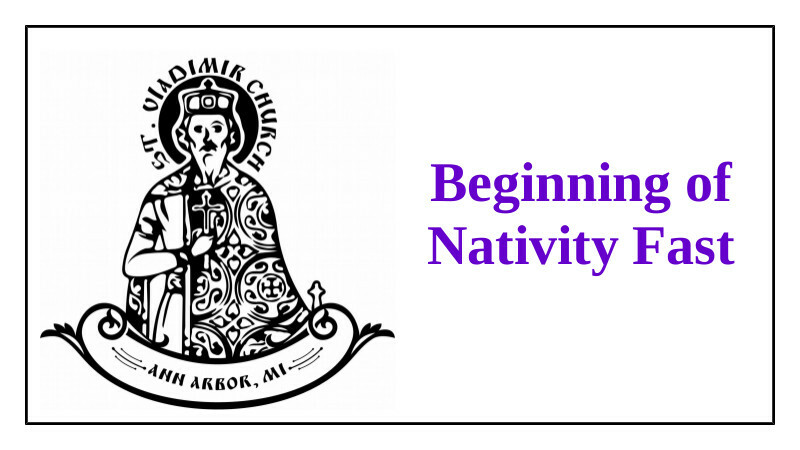 Congratulations to all with the beginning of the Nativity Lent! We congratulate all our parish family with the beginning of the yearly Lenten period preceding the feast of our Lord’s Nativity! This Lenten period begins November 28 each year and runs until January 7 – the feast of our Lord’s Nativity. This Lenten period is much less stringent than Great Lent. During this fast, as usual, we abstain from meat and dairy products. But fish is allowed on many days. Please consult our parish schedule (linked below) for more details on the culinary aspects of fasting. Of course, the culinary fast is a tool to aid us spiritually to prepare for our Lord’s Nativity – it is not an end unto itself. If you have not fasted in the past please consult Fr. Gregory for practical advice on how to be successful in fasting. Fasting a very important way that we place ourselves in obedience to the Church, the Ark of our salvation, and extraordinarily helpful in our spiritual struggle to draw nearer to our Lord at this special time of year. Where is the #GivingTuesday Email from our Parish? Today, no doubt, you have been virtually attacked by emails from various nonprofits asking for support. 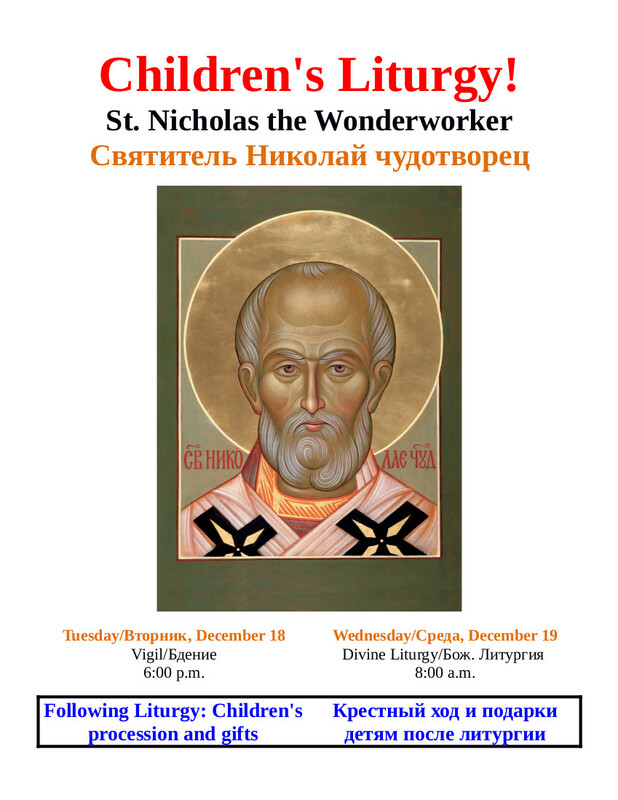 You may be wondering where the email is from our own St. Vladimir parish. The short answer is: there will not be one. Why? 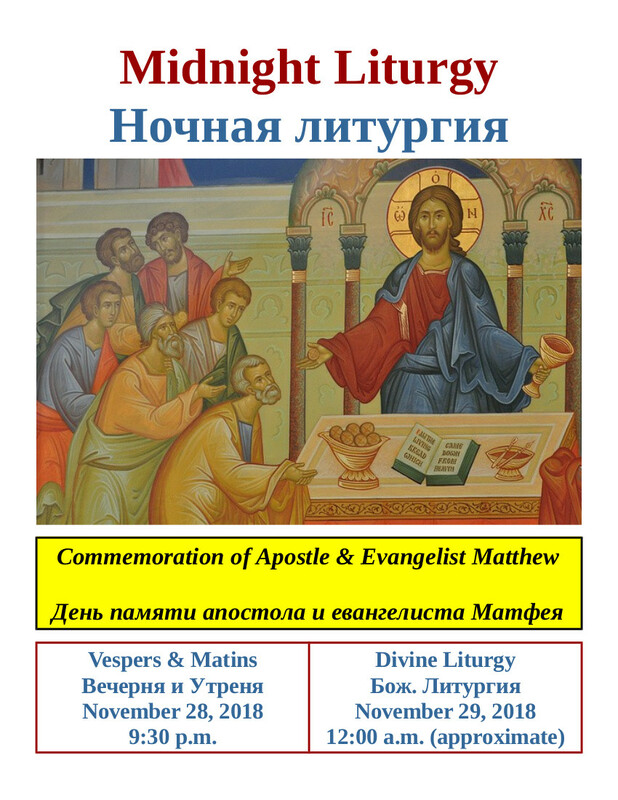 We know that you know that it is part of our spiritual struggle to tithe to support our parish. That being said, those that are in a position to make a donation to another worthwhile charity beyond their tithe may want some advice, and we do have a few favorites that we would like to recommend to you if you are in this position. 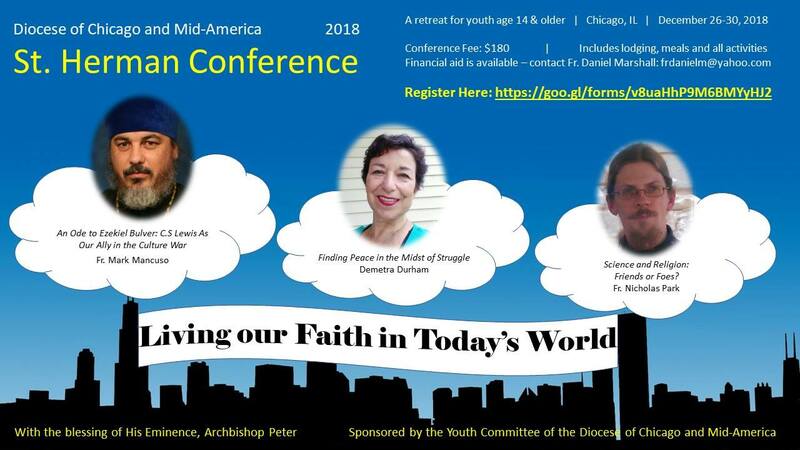 Please consider supporting one of the following in addition to supporting your parish. We thank you for your support today and all throughout the year! 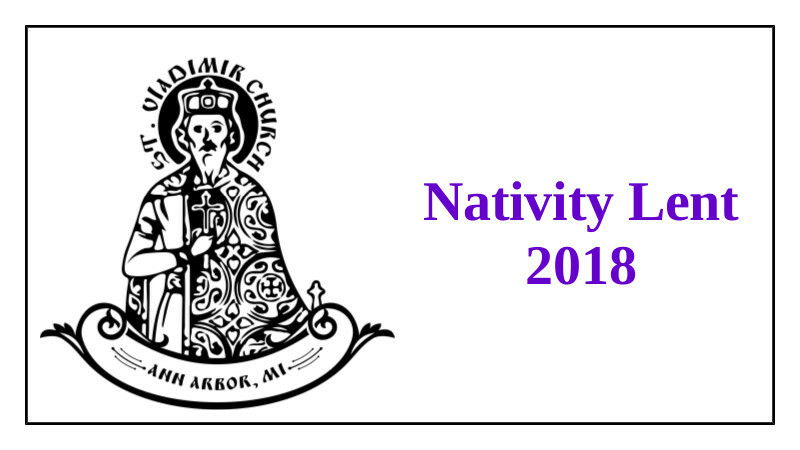 Nativity Lent Begins 11/28/18 + Extra Divine Services! Please note that the yearly Lenten period in preparation for our Lord’s Nativity begins on November 28. From this day until January 7 we do not partake of meat or dairy products. On many days during this lent fish is allowed. Please consult the parish schedule of services for details in this regard. Have questions about fasting? Never tried to follow the fast before? Please talk to Fr. Gregory for answers! “We abstain from meats that we might abstain from the passions...” writes St. John Chrysostom. Let us indeed use the fast for what it is – a tool to aid us in our spiritual struggle for salvation. Please join us as your personal schedule allows! Make a special effort to attend at least some of the weekday Lenten services this Nativity Fast! Our annual Sisterhood Bake Sale is set for Saturday, December 15. Preparation has begun! 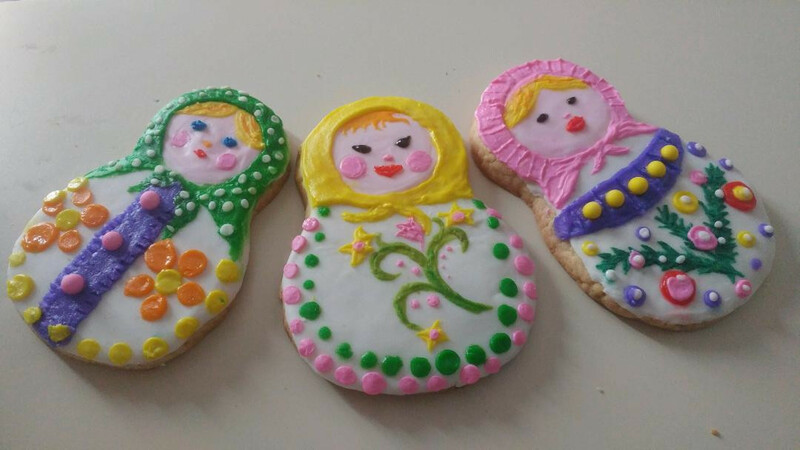 Check out the picture above of some of the cookies that were already prepared – these are works of art! You can help. And you want to help. :) We know you do! How? 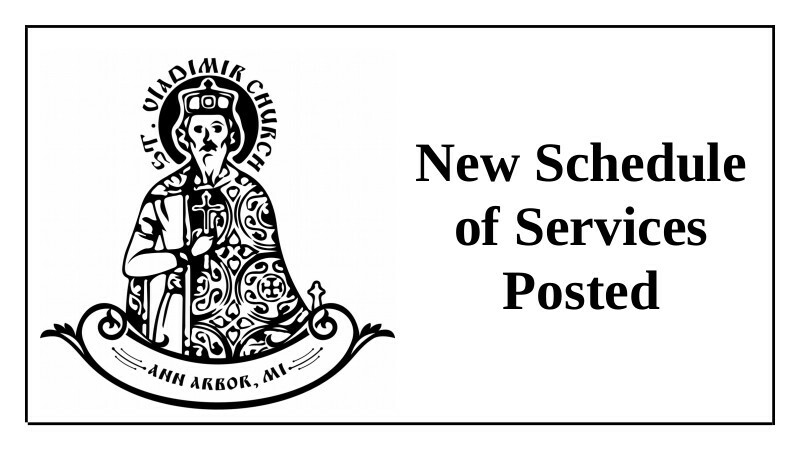 Contact our Head Sister, Leta Nikulshina at headsister@stvladimiraami.org or 734-272-3826.